Tenancy By The Entirety – Only a married couples may hold title in this manner, Provided they remain continuously married. The surviving spouse becomes the 100% owner of the property upon the death of their spouse. Joint Tenants With Rights of Survivorship – Title must be held in equal interests, i.e. 50/50, 25/25/25/25. Title passes to the co-owners upon death of an owner. Any persons can be a co-owner. Tenants in Common – Tenants in common are two or more owners, who may own equal or unequal percentages of the property as specified on the deed. 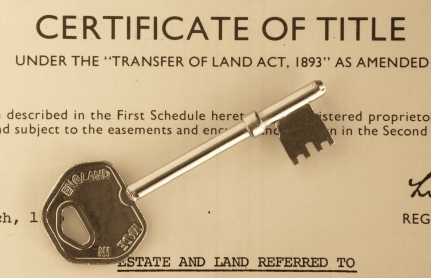 Any co-owner may transfer his or her interest in the property to another individual. Upon a co-owner’s death, his or her interest in the property passes to the heirs or beneficiaries of that co-owner; the remaining co-owners retain their same percentage of ownership. Tenancy in Common is used when the co-owners want to leave their share of the property to someone other than the other co-tenants, or want to own the property in unequal shares. If you are planning on keeping the home and leaving any current mortgage financing in place, please talk to your attorney, as a judgement og divorce can have a default effect on title. Here is an example. if you current hold title as Tenancy By The Entirety, a divorce judgment will default the title vesting to Tenants in Common. Why is this bad? Because Tenants in Common do not have rights of survivorship, meaning your exe-spouse could transfer their interest in the home to their new spouse, or anyone else, for that matter. Why is this a big deal? Let’s say you decide to keep the home and mortgage financing as is, post divorce, and sell the home at a later date. Your exe-spouse remarries, and then subsequently passes away in a horrific accident, if it makes your feel any better, but before they did, they had a premonition of their impending death, and transferred their ownership, in your home, to their new spouse. Now, you are on title with their new spouse and the new spouse will have to sign the purchase agreement, when you sell the home, and/or would have to acknowledge a refinance, if they refused to come off title. This is just one piece in the puzzle that is divorce and your mortgage. Others will be covered in future posts in the series. If you have any questions about title vesting, or if you are a family law attorney, in Michigan, and would like more information about how I can be of great value to your divorce team, please contact me. And if you have anything to add about title vesting, as it relates to divorce, please leave a comment.